Recently inbox email service announced they are doing away with their free email accounts. kinda urked me because their service is not that great to begin with so now I have to figure out who all I am using them with and change it. Anyway, the point is, the email I received has the following "Our pricing is set so friendly to ensure we can offer you a cheaper solution than other email services like Gmail®, Yahoo!® or Outlook.com®"
Have they forgotten those other email services are still free????? Free is cheaper than any pay account!! I can see the way. If they are moving to paid only they may have the budget to do better. Email however is sort of a dinosaur. Plenty of articles about that! In reply to: I can see the way. Ten minute email account works. Not pretty but works. Email services for free have "issues." 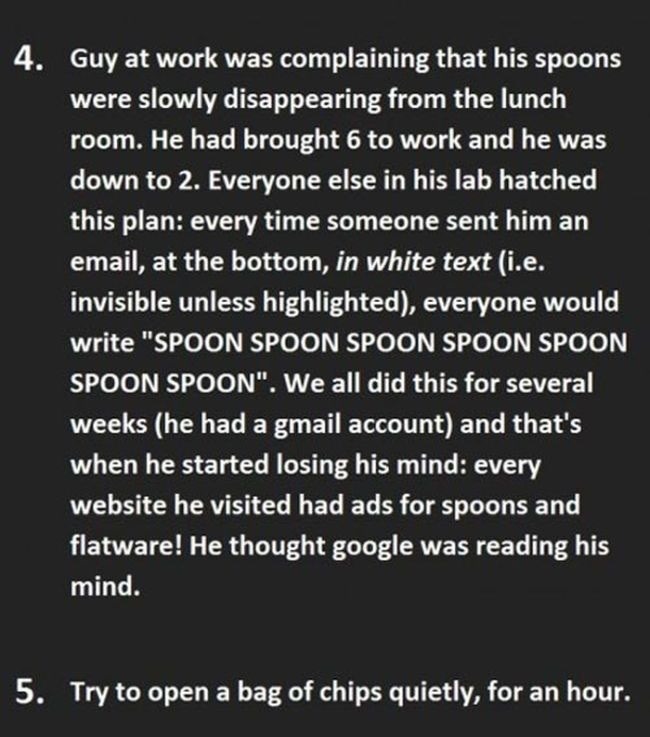 I'm sure you know about the spoon trick.